KINGFISHER ORIGINAL AND PRINT AVAILABLE – Watercolour pens and gel ink original work. I plan to develop some yoga themed artwork this coming year. In the meanwhile here are some examples of my work. Limited (signed) editions are available as indicated. For any other enquiries, please click here to contact us. 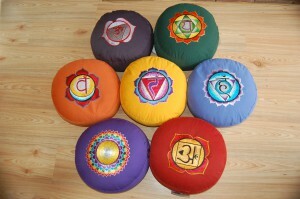 We are able to order this fantastic CHAKRA ZAFU SET (7 cushions), ideal for therapists & meditation teachers. 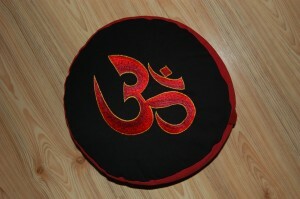 A great buy for any new yoga teachers wishing to provide additional aids to students. 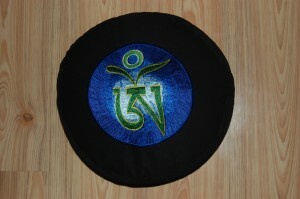 The colours are really vibrant, purchase price £180.00 – POSTAGE UPON REQUEST or FREE TO COLLECT.